Tomorrow is the option expiration so it could be a very volatile day. With the pre-market down over 60 it looks like we may hit new intraday lows... If that is the case like the other 2 times we have hit the intraday low (both in October and November) we had a snap back rally and then rallied for a couple weeks as much over 20%. I am not saying we are due for a cray rally, but I do believe that this market has been far too easy to short the last couple days. I believe that sooner rather than later shorts will need to cover (especially going into a weekend) and will push the market a little higher. I think we have a good chance of closing higher Friday just because I know many traders/investors would not want to stay short over the weekend. Oddly enough there was a lot of action for Goldman Sachs options ending tomorrow. I do not know why so many would be buying way in the money Calls on GS... Maybe we'll see nice move tomorrow... I guess time will tell soon though. Good luck! The major reason for creating this video is because I was looking for one like it online, and could not find one. Let me know how you like it by commenting. Also please share this video by adding it to your Facebook, twitter, myspace and more by clicking on the share icon below. I have been meaning to update my post from December 31, 2008 but haven't had time. Buffalo Wild Wings reported Wednesday February 11, and they trumped earnings sending the price per share up over 40% in just two trading days. The Feb $30 option could have been bought for $10 a contract, which I added to my position the day before they reported. It traded as high as $125 a contract over the next two days. I got out at $105 per contract before any fees. So if you would have had a chance to read my original post on the 31st of December you may have been lucky enough to speculate and get out with some serious profit. I can now do this again before their next earnings and play with the houses money. The short interest on this stock is still very high, and I believe in this market it should only be getting higher for another chance at a massive squeeze. With the stimulus package passing and another $1 Trillion of borrowed money being added to our debt, gold should sky rocket. 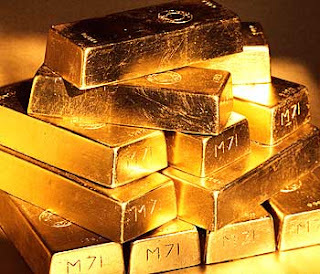 Keep in mind gold trades in US dollars so if our dollar gets stronger it should help prevent it from climbing to fast. Overall gold should rise with how much money is being printed. Some good ways to get on top of the gold move are GLD which mimics the price of gold bullion, and another more speculative instrument is the UGL which moves in either direction with gold 2 for 1. I bought some UGL within a month of its release for about $22 a share and will look to lighten up Tuesday. I think Gold could easily hit $1500 by the end of 2009.